Yes, that's right. Tomorrow, Saturday 3/20, is the First Day of Spring. 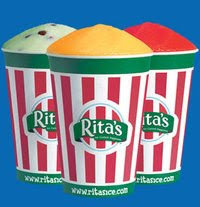 And, as always, that means Rita's Water Ice will be handing out FREE water ices. SO GET IN LINE! Maybe more than once! I won't tell!